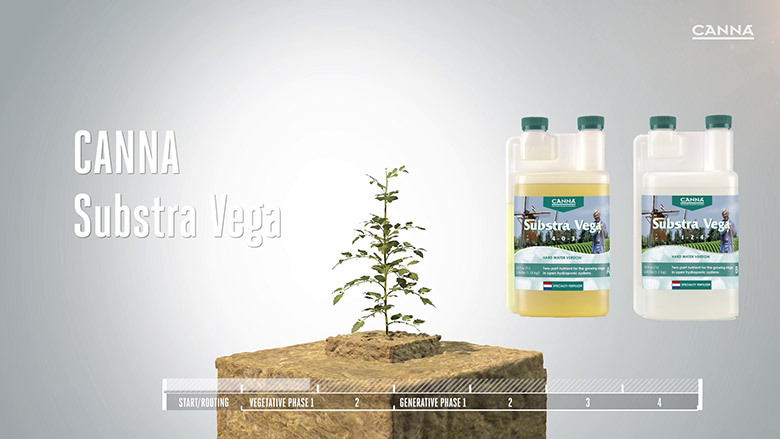 CANNA Substra Vega is a complete professional nutrient for the growing phase of plants. It is specially developed for growing in inert run-to-waste systems. In the beginning of the growing phase, the plant lays the foundation for its eventual yield. Keep out of reach of children. Wash hands thoroughly after handling. Do not eat, drink, or smoke when you use this product. Wear eye protection. First Aid: IF IN EYES: Rinse cautiously with water for several minutes. Remove contact lenses if present and easy to do. Continue rinsing. If eye irritation persists: get medical advice/ attention.